Kay is the Director of Education at Gerety Orthodontic Seminars and is the lead instructor of both our classroom courses and our online program. Her dental career began in 1973 and she received her Certified Dental Assistant Certificate from the University of North Carolina at Chapel Hill in 1975. As a practicing Dental Assistant for more than 40 years, she worked alongside her husband, Dr. Robert “Big Bob” Gerety, in their dental practice. Kay joined Big Bob in the classroom for over 30 years as they taught his Straight-Wire orthodontic course to over 12,000 general and pediatric dentists. With Kay’s direction and guidance, the curriculum that we teach today is built on the same philosophies, principles, and techniques that Big Bob developed and documented while he fine-tuned his Straight Wire non-extraction technique. A highly enthusiastic presenter, Kay is motivating and knowledgeable. Her experiences as a teacher, chairside assistant, and office manager prepared her to develop her own orthodontic clinical program for assistants, which is one of the most recognized and respected ortho courses available. Kay’s course for the dental assistant prepares professional staff to embrace their new orthodontic team responsibilities, along with renewed excitement and enthusiasm for dentistry. In addition to her classroom program, Kay also created and instructed an in-office program for training dental assistants right in the dental office where they work. 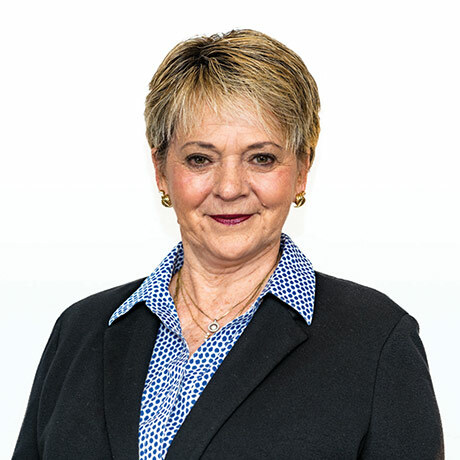 Kay’s presentations are in high demand; she has lectured extensively to dentists on topics such as orthodontic integration and profitability, practice management and marketing, and effective staff utilization. Kay’s husband Big Bob retired from classroom teaching in 2009 when he was diagnosed with dementia. This did not deter Kay and Bob from their desire and dedication to teaching. Thanks to developments in technology, they were able to continue sharing his orthodontic curriculum in an online format. Together, they launched their website in 2010, proving that their passion for teaching orthodontics to general dentists was greater than Bob’s health challenges. As our Director of Education, Kay has guided Gerety Orthodontic Seminars to its position as the leader of online orthodontic education, with students all across the United States. Thanks to the Internet, Gerety Orthodontic Seminars has spread to students in 14 countries. In 2011, Kay revived Big Bob’s Comprehensive Orthodontic course in the live classroom. Assembling an outstanding team of general dentists who had been students of Bob’s, today Kay and her team are dedicated to keeping the Gerety methods available in our Tulsa classroom.